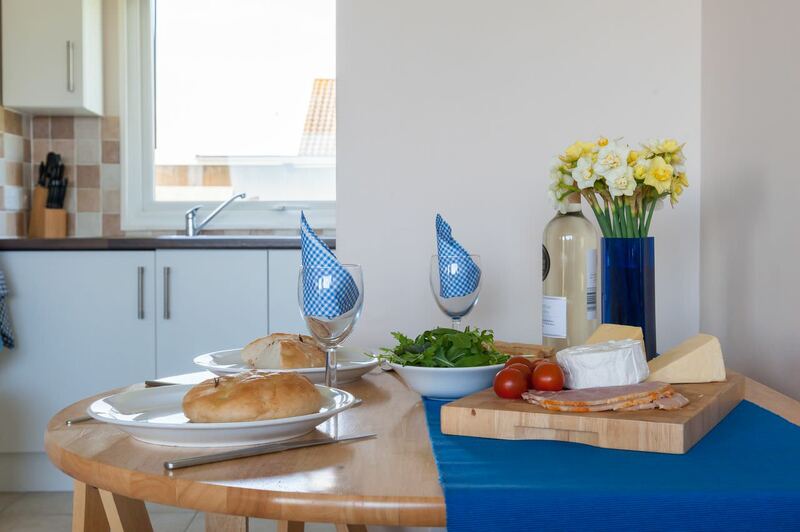 Welcome to Tides, an end of terrace contemporary home, based on Rainbows End Park, Bacton. 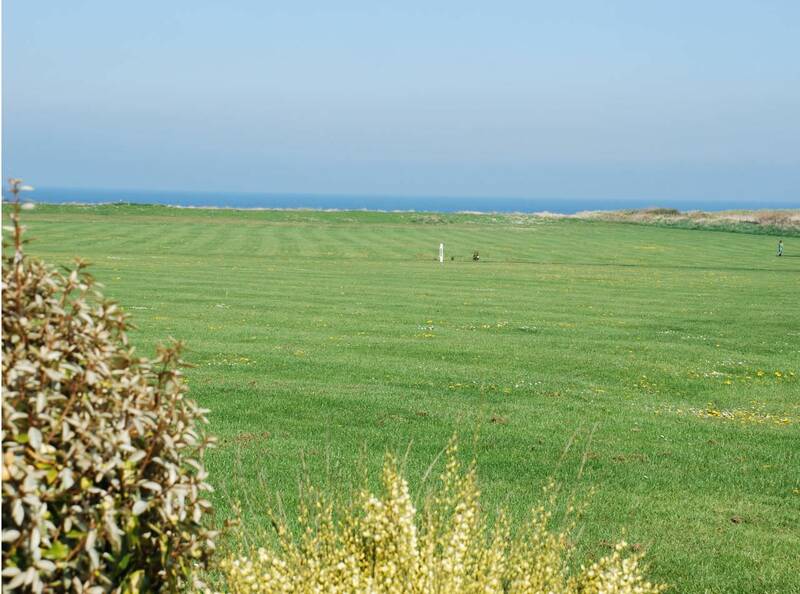 The park has over 10 acres of grassland with the beach and sea on your doorstep. 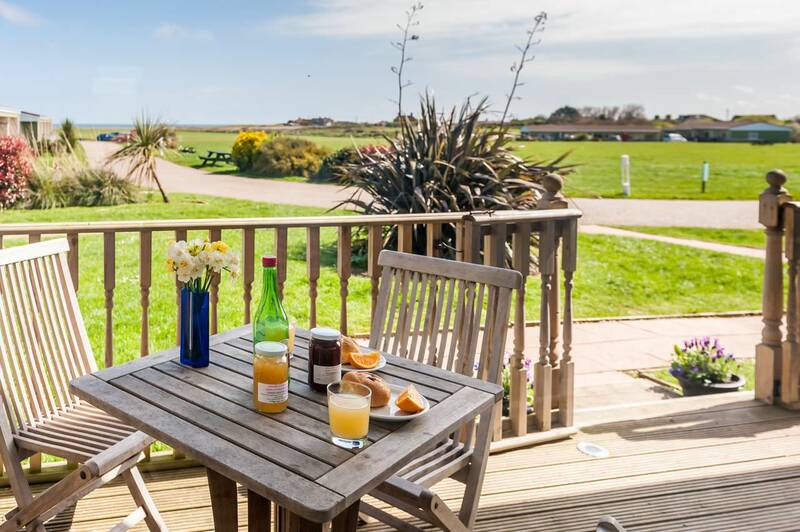 Enjoy views across the park, sit on the terrace enjoying a sunny breakfast, or with a glass of wine whilst watching the sunset. 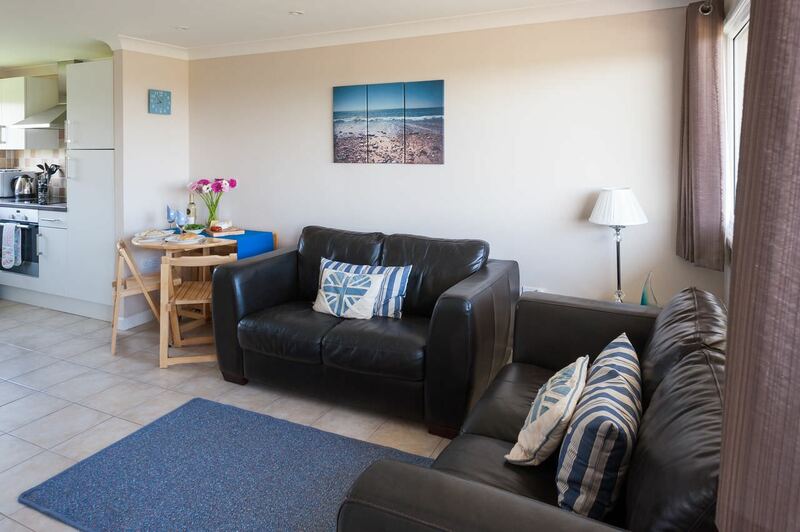 Tides can be found tucked into a corner of the park, facing the sea and just a short walk away from the seafront. 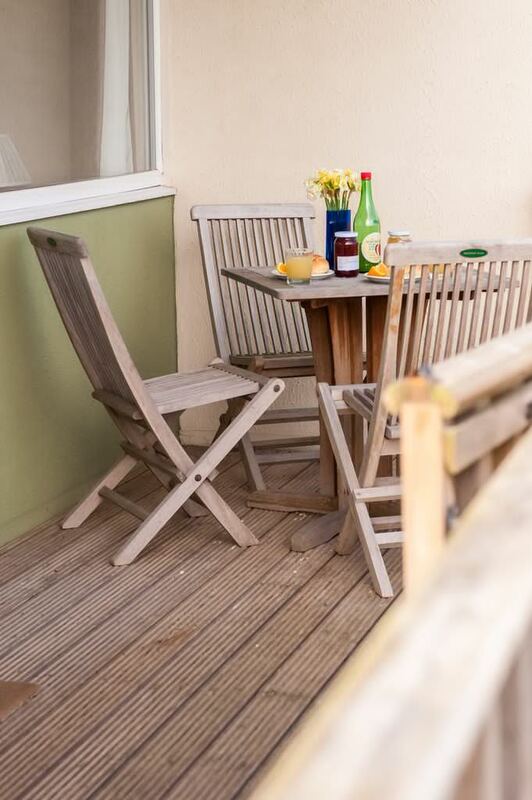 Sit on the terrace watching the world go by, with a partial view of the sea on the horizon and relax with this slower pace of life. Step in through the glazed front door to open plan living, comfy leather sofas, room to dine and the kitchen, small but well equipped. 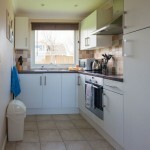 The inner hall leads to a double room, twin bedroom and the bathroom. 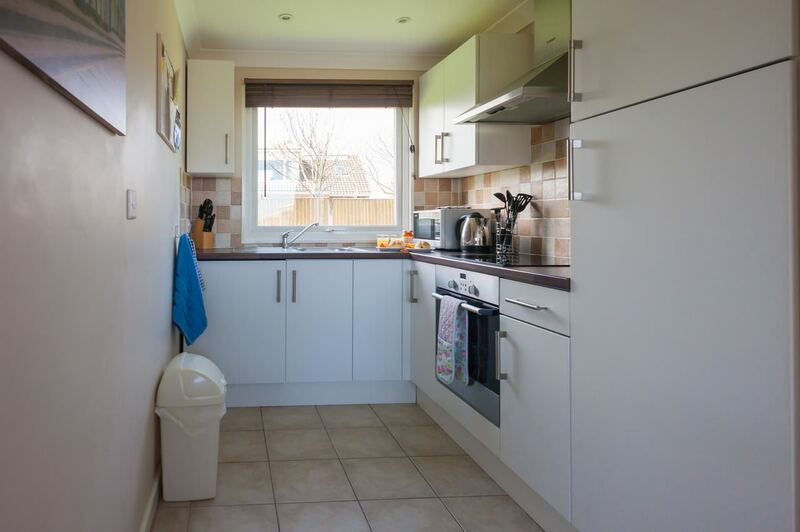 The property is light and airy in the summer, but cosy and snug in the winter thanks to radiator central heating and double glazing throughout. 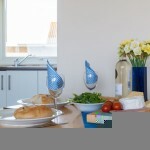 Light colour ceramic tile flooring combined with light walls, and blue accessories provide a seaside theme that is very popular and works all year round. 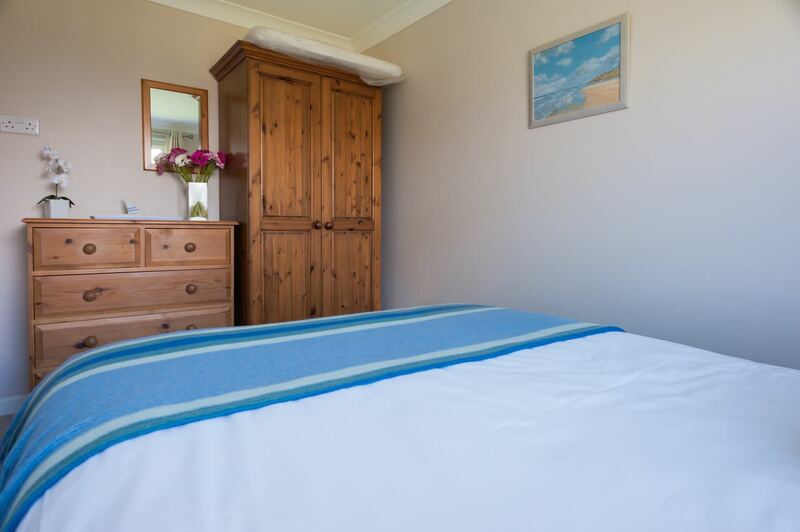 Walk through the inner hallway where you can store coats and shoes, into the main bedroom and you will find warm solid pine furniture and a hotel quality double bed. 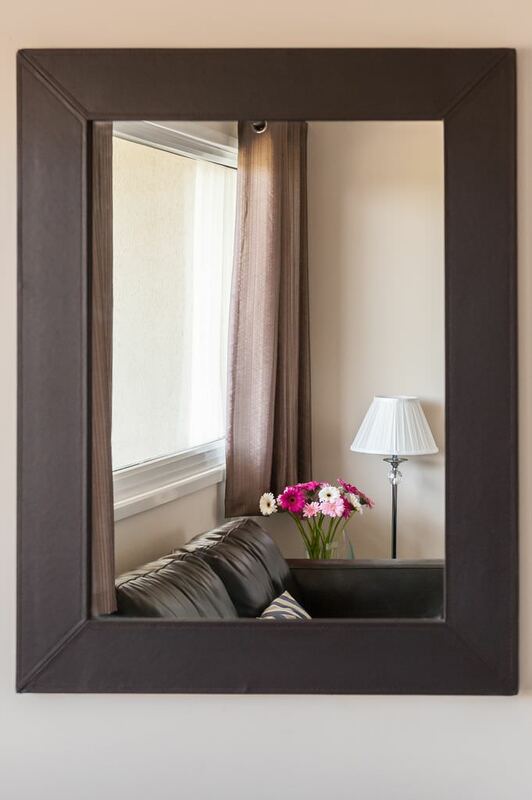 The twin bedroom has white furniture, hotel quality 3′ and a 2’6″ pull out guest bed. 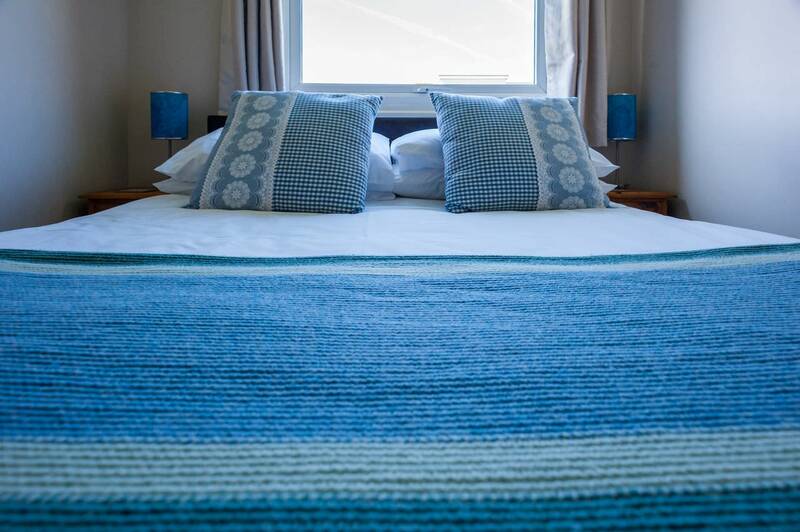 The bed comes to the same height as the standard bed and they can be pushed together for a double. For our younger guests there’s a travel cot available. 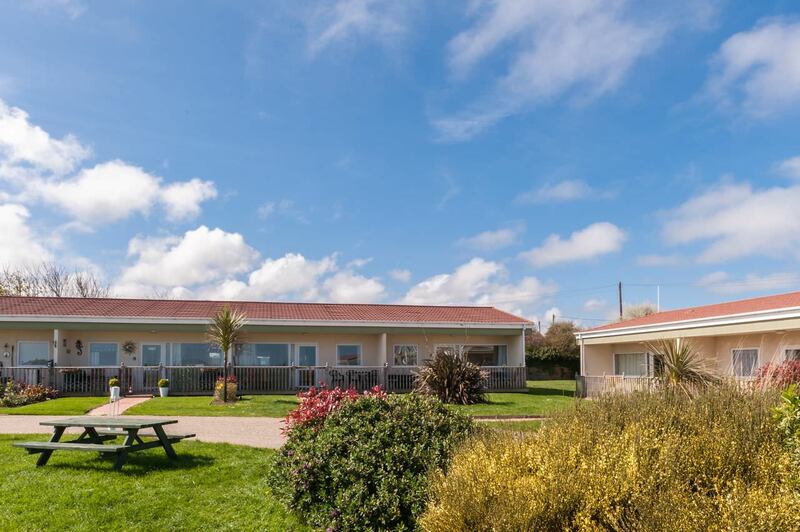 Just a short walk away from the beaches that come and go with the tides; with the sea wall it’s always possible to walk along the coast to a nearby dog friendly pub or cafe. Hear the sound of the sea or in the winter the crashing of the waves! 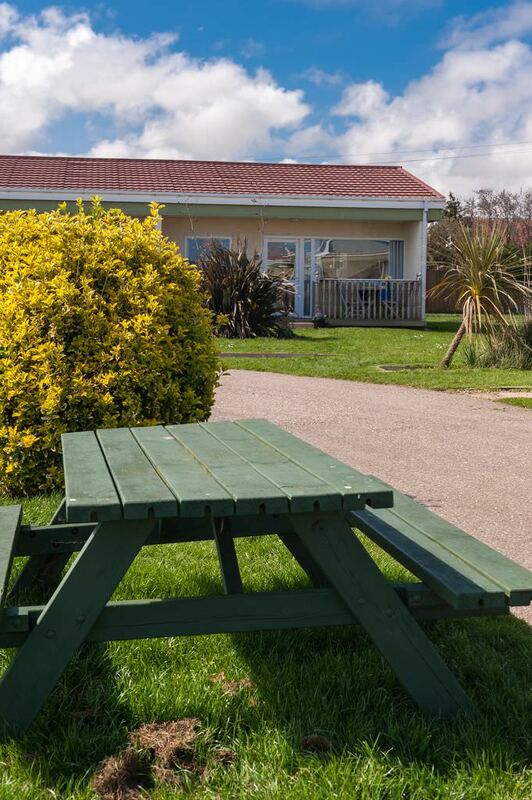 The park is based in the small rural seaside village of Bacton, which although small has some great eating places within walking distance. 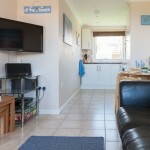 Lovely place with all we needed for a great time in sunny Cromer. Weather unseasonably warm but very welcome! Another brilliant break, weather good, accommodation good, 10/10. 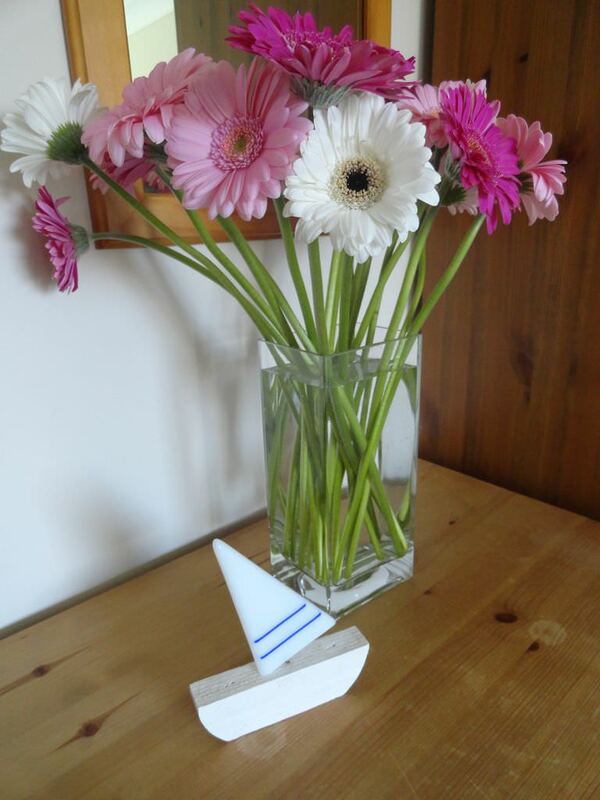 Wow wow, thank you so much for an amazing relaxing break in your lovely holiday home. Perfect! 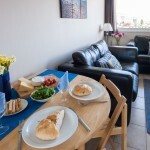 Very homely, warm and comfortable, you have thought of everything. We will recommend and be back. Thank you. A wonderful time was had by all in Cromer Flint Cottage, the cottage is beautiful and offers everything we needed even down to beach toys. We particularly loved Craft Burger which looked out over the pier and their complimentary nachos. Can’t wait to come again. Had a lovely stay, beautiful walks along the coast and great pub, fab food. Lenny the dog loved it too! Thank you. Emma, Mike and Lenny the dog! What you’ll find at Tides. Plenty of crockery, glasses and cutlery. 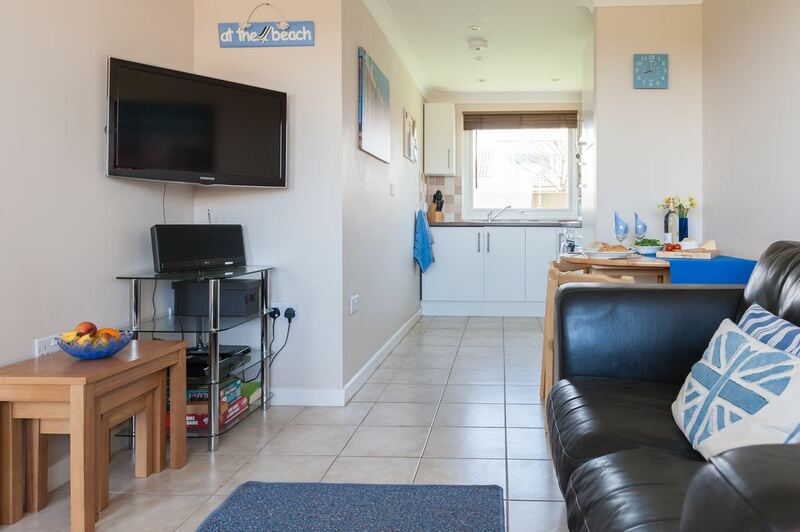 The beach is just a two minute walk away, reached by steps. Ramp access is at intervals along the coastline. 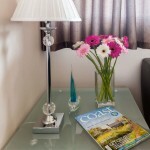 A cot is available by prior arrangement at no extra charge. Your doggie gets a welcome too! 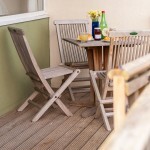 Weekly, weekend or midweek breaks all year round. Your holiday can start on a Friday or Monday. Flexible dates may be available during November to March. Please ask. Do click through to our special offer section. Please check the calendar as listed dates may have already been booked. Dates not available? 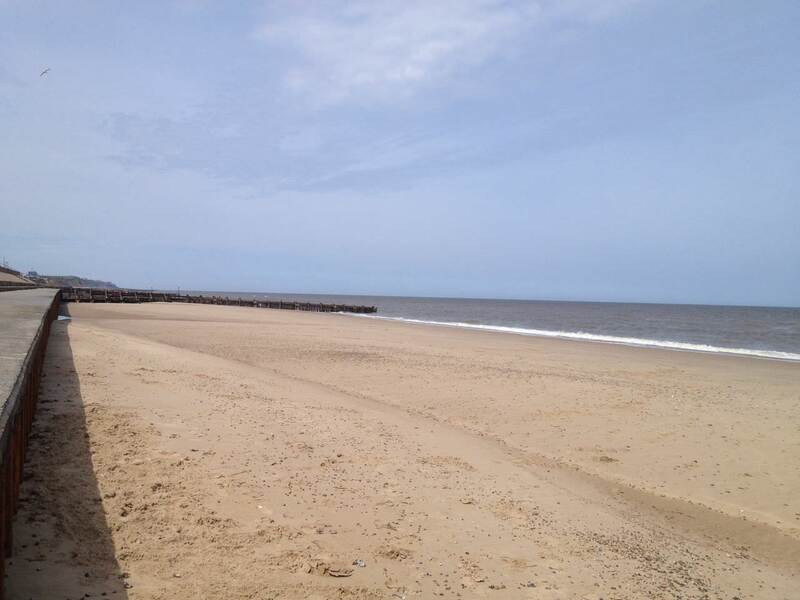 Check availability for our other properties on or near the Norfolk coast. 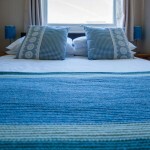 Weekend breaks are Friday to Monday (3 nights).Midweek Breaks are Monday to Friday (4 nights). Check in is from 3pm. Check out by 10am. A booking form must be filled prior to booking confirmation. 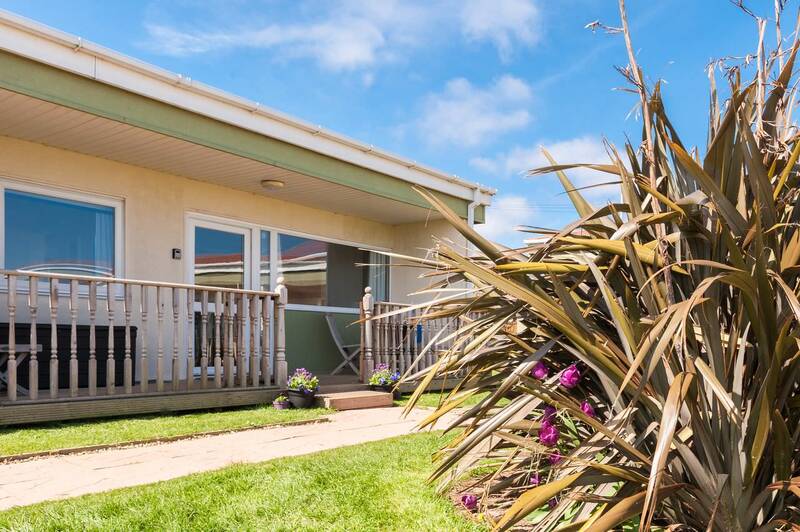 A booking deposit of £100 or 25% is required with the balance payable two months prior to your holiday. Tides accommodates a maximum of four people inclusive of a baby in a cot. 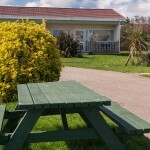 We welcome one to four dogs (size dependent) for just £15 per break. 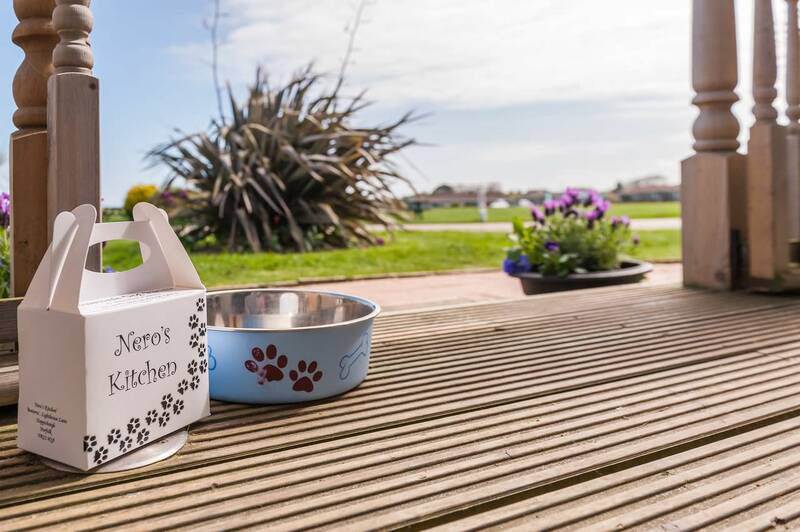 Please contact us if you have more than two dogs for us to consider your request and ensure you and your party have enough space for comfort. Personal towels are not provided. 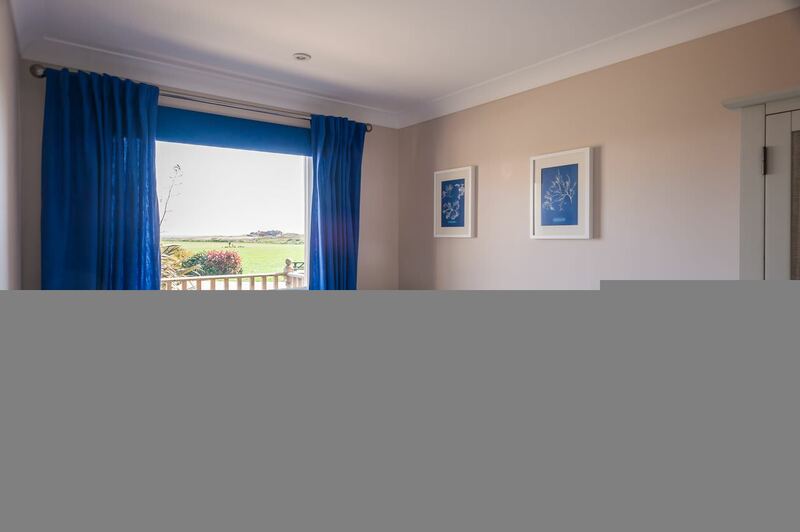 Christmas/New Year flexible short breaks are subject to availability, bookable from approx. eight weeks in advance. 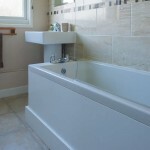 One week bookings taken for the festive period all year round. 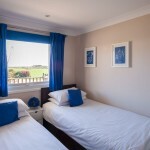 Easter and bank holiday short breaks are normally four night minimums or three nights with a late checkout. 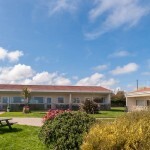 Tides and its sister property Beachscape are based in peaceful Rainbows End Holiday Park, in Bacton. 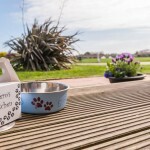 The park is pet friendly with 13 acres of grassland and has no amenities apart from the sea on its doorstep! 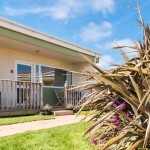 There is direct access to the beach just yards away and miles of coastline to walk in either direction. There is an on site office should you need any specific help whilst there. The field is a lovely safe environment that you can allow your children to run around on, play football, cricket or perhaps fly a kite. 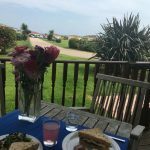 Bacton can be found on the North East Norfolk Coast, about 10 miles down the coast from Cromer, the nearest large coastal town. 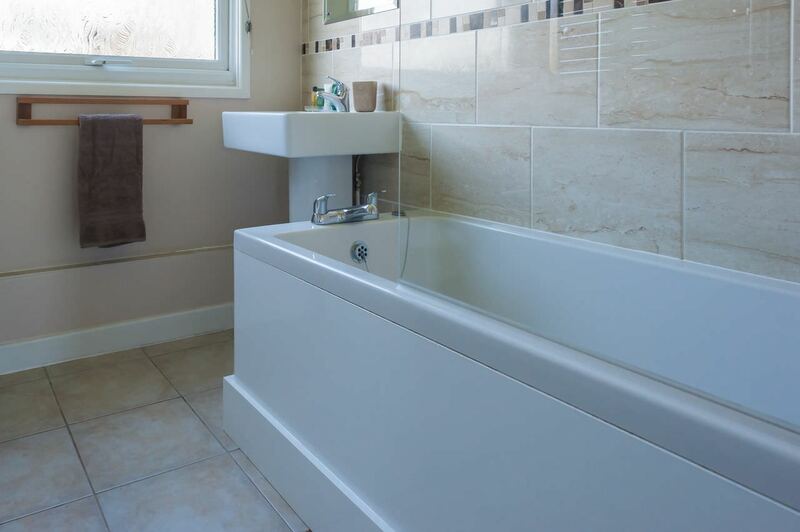 It is a small village, and dotted around you see the traditional flint cottage style home. 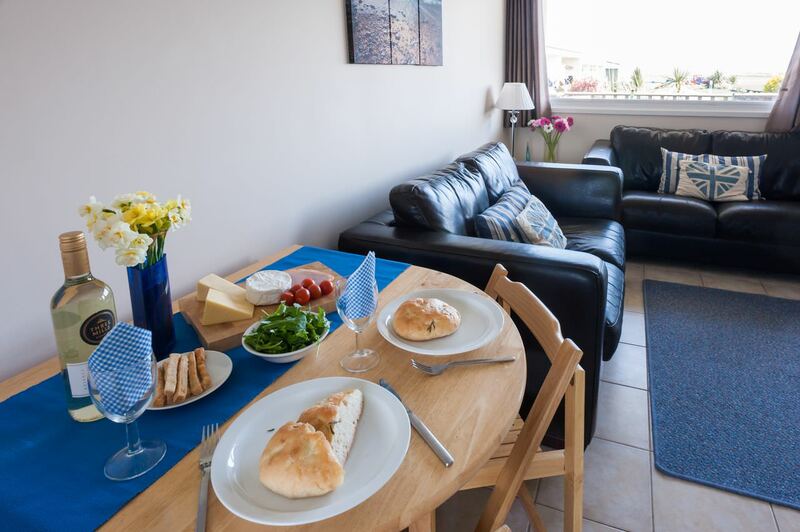 It is served very well with a lovely well stocked village shop and numerous eating places. For more details of where to eat, go to the Dining Out section of the site. The remains of Bromholm Priory, while not open to the public, can be viewed from different parts of the village. You can read a little about its history on the Bacton History Group site or here on the Paston Heritage website, where there are details of a book giving a fictional account of life at The Priory in the Thirteenth Century, by Jane Finch. Drive around the area to find a multitude of rural villages, fabulous cafes, quirky shops and more. Mace Stores & Post Office – Walcott – large range of food, goods, newspapers, beach supplies etc and a cash machine. Returned last week after a 4 night break staying at Tides. We always go away once a year for a doggie holiday and this break ticked all the boxes. 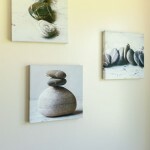 Tides was great, everything we all needed…clean, spacious and comfortable. 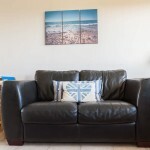 Rainbows End where Tides is situated, clean and well kept and very dog friendly. 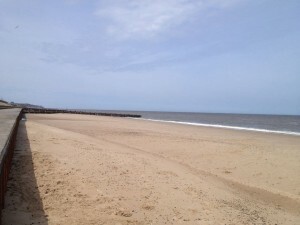 Lots to do in area we visited Cromer, Great Yarmouth, Mundesley and Bacton Woods during our stay. 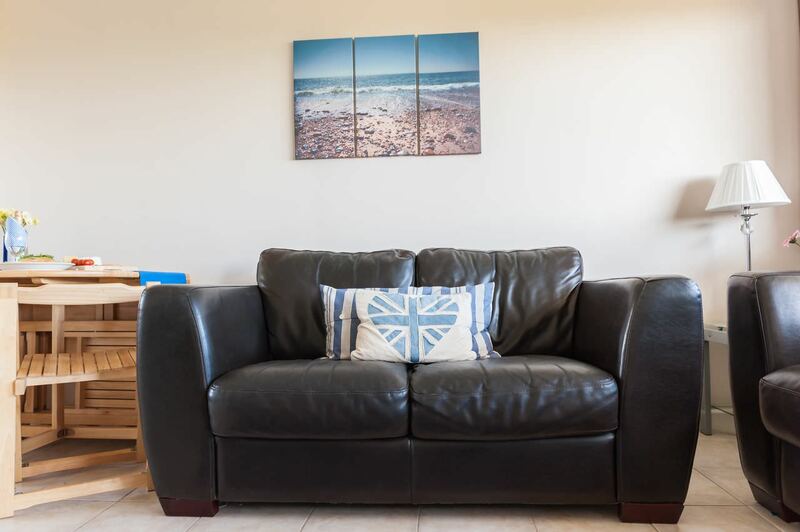 Would recommend Tides if you are looking for a peaceful dog friendly stay in a beautiful part of Norfolk then this most definately it, great communication from Debbie the owner from booking onwards. Hope to stay here again in the near future. 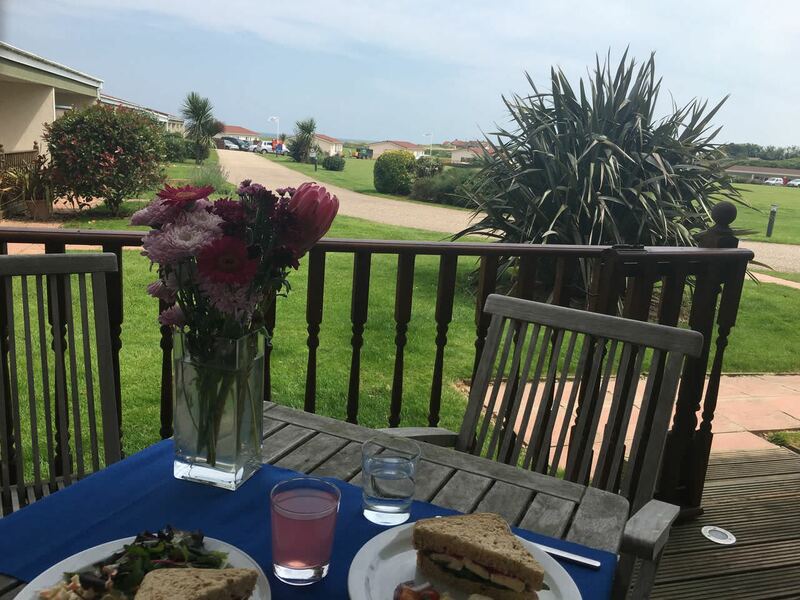 We have just returned from a mid week stay at Tides, what a beautiful chalet this is, clean, tidy and very comfortable, also very dog friendly. Thank you for letting us rent Tides, my sister and husband joined us and both loved it as well. Cannot recommend this highly enough. Had a wonderful week here. Everything was clean. Beautiful chalet, very well equipped, had a great time. 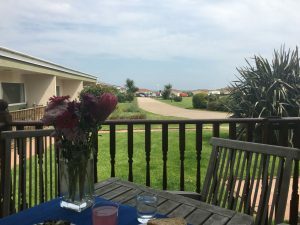 We enjoyed our stay – were lucky with the weather! 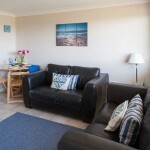 Chalet had everything we wanted and as others have mentioned, so clean; not always the case with holiday rentals. Had a great (huge) breakfast and lovely welcome at Sugar and Spice. Bacton fish and chip shop, great fish and chips. Poacher’s Pocket also good. Bacton Woods def worth a visit especially if you have dogs. 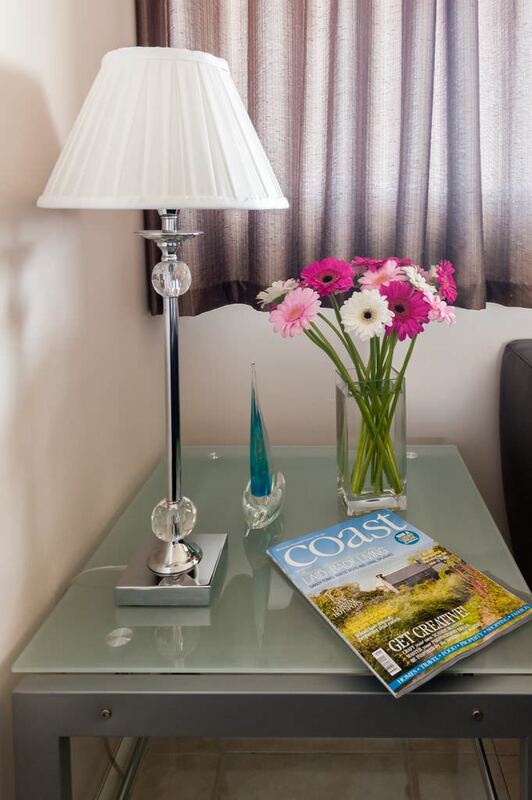 What a wonderful quiet, welcoming cottage to stay. Wonderful weather, long walks on the beach, up and down the coast. Great places to eat and drink. Everything you need to have a great time which we did. Thank you for having us. 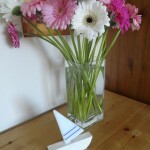 We have just spent a lovely week at Beachscape. The weather was glorious, the beach to die for. Alfie and Pudsy doggies had the best time ever. Food at Sugar and Spice and Poachers Pocket was good. The chalet was very comfortable and clean. 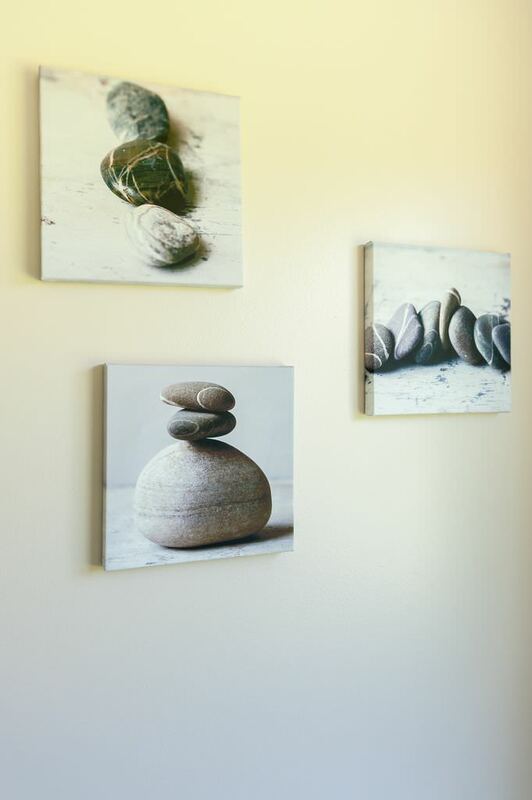 Had all the day to day amenities you could want.